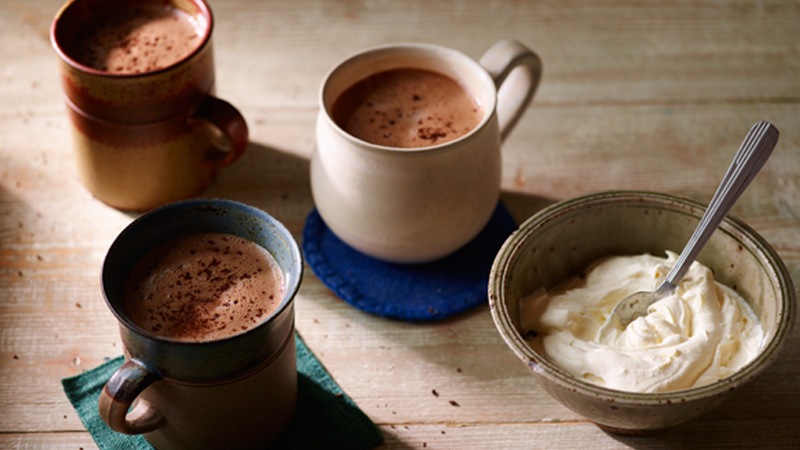 Enjoy this Mexican hot cocoa that’s garnished with whipped topping and cinnamon sticks – a perfect slow-cooked beverage. 1. Mist a slow cooker with cooking spray. Pour the milk and hot water into the slow cooker with the brown sugar, coffee powder, vanilla essence, chocolate, cinnamon sticks and the ancho chilli. 2. Cover and cook on a low heat setting for 2 to 3 hours. Stir the hot cocoa and remove the ancho chilli before serving. Garnish individual servings with finely grated chocolate and whipped cream. Mexican hot chocolate is frothy when served. To achieve this effect, vigorously stir hot cocoa with whisk until very frothy just before pouring into mugs to serve. If you cannot find any dried ancho chillies, you can use a regular dried chilli, but the heat will be a little less intense.